Gender and inclusivity are two key buzzwords floating about the film world these days, but how are these ideas being implemented? Are they being implemented? And are these issues always binary, black and white? Talking to filmmakers who aren’t Caucasian, male and/or cis, you don’t get clear-cut answers. You don’t always get encouraging answers, though you sometimes do. One gets the impression that this is an industry struggling with ideas that may change it radically, and that some people — even well-meaning allies — are still glomming onto old traditions. These issues were confronted directly during IFP Week, particularly at the panel “How Do We Frame the Conversation on Gender and Intersectionality?” For starters, gender remains a problem, at least for some in power. Yolonda Ross has seen diversity issues from two sides of the business. She’s an actress — currently of Showtime’s The Chi — who’s crossed over into filmmaking; she’s about to start production on her feature directorial debut, Scenes from Our Marriage. As she sees it, the industry has long tended to see the black experience as monolithic. That’s changing, she thinks, and in a way that reflects the diversity amongst specific groups. Alexandra Juhasz — a producer and academic, who teaches film at CUNY — is white, but she saw how queer black women were treated when she produced Cheryl Dunye’s 1996 indie classic The Watermelon Woman. One thing that makes the film hold up, she says, is that the identity politics issues are still largely the same — not just how people identity themselves but how they stand out among their tribes. 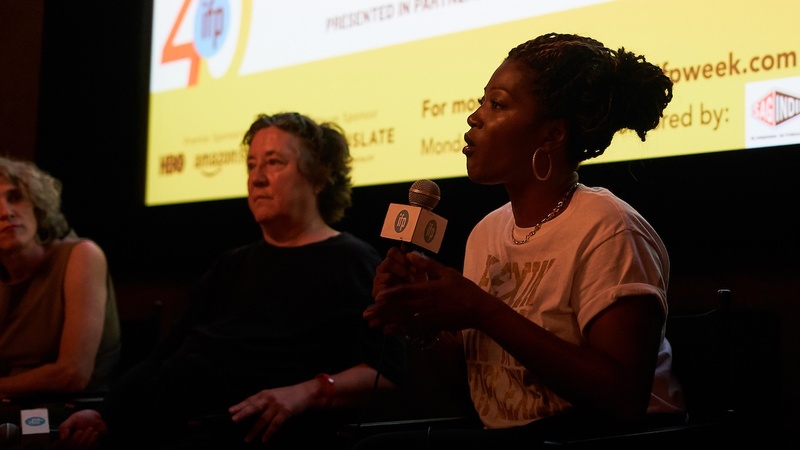 Vachon noticed something similar with one filmmaker with whom she’s worked: director Janicza Bravo. Her feature, last year’s Lemon, is a deadpan, absurdist comedy, largely starring white actors, like Michael Cera, Gillian Jacobs and Jeff Garlin. These are the stories of filmmakers, trying to get their stories told. But they’ll remind you that film is a collaborative medium. That means that the people working under the director need to be as diverse as the people who become directors. Thankfully they are. Then there’s another female issue: Pregnancy. It’s still a problem, at least for execs and the like, who tend to worry about maternity leave and child-rearing. Vachon, someone who loves hiring female directors, finds these conversations enervating. Karyn Kusama — the director of Girlfight, The Invitation and the Nicole Kidman-starring Destroyer, which just bowed at the Toronto International Film Festival — knows that struggle all too well. She felt differently about what she did years later. On Destroyer, she was looking to hire a production designer who was seven months pregnant. She hired her after talking to a line producer who had worked with her before, when she was also pregnant, and said she proudly, for example, breastfed in a production van. Important as diversity is, there is one way it’s not always helpful: When you try to make your film be accessible to absolutely everyone. Sometimes aiming at a specific target audience, a specific community, is what will make your film bloom. That makes sense today, too, when the multiplex is becoming homogenous, when indies are having to think outside the box to recapture audiences. Perhaps going back to ideas from a quarter of a century ago may pay.